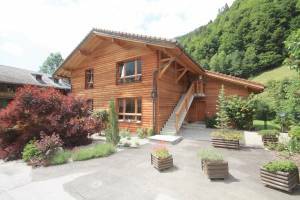 Located at a locality Saconnex-d'Arve, in a quiet and green environment of the town of Plan-les-Ouates, beautiful apartment crossing ground floor close to all amenities of the village such as public transport (the bus 46 is located in front of the building, 20 m.), nursery and primary schools (Saconnex d'Arve / Serves / Bardonnex) are in the immediate vicinity of this address (5 min.). The Plan-les-Ouates Shopping Center and the bypass are a short drive away. Made in 2007 with quality materials, this 4.5 room apartment in excellent condition is located on the ground floor of a small building of contemporary architecture. Enjoying a beautiful open view, it offers a living area of ​​97 m2 on the ground and 24 m2 in the basement, and two garden spaces totaling approx. 188 m2. This apartment includes a kitchen open to a nice living room, 2 bedrooms, two bathrooms, and a large multipurpose room in the basement. 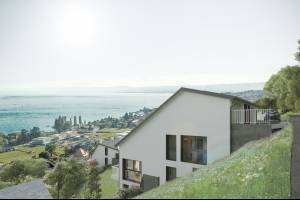 A cellar and two garages in the basement of the building (CHF 80'000 .--) complete the ensemble.